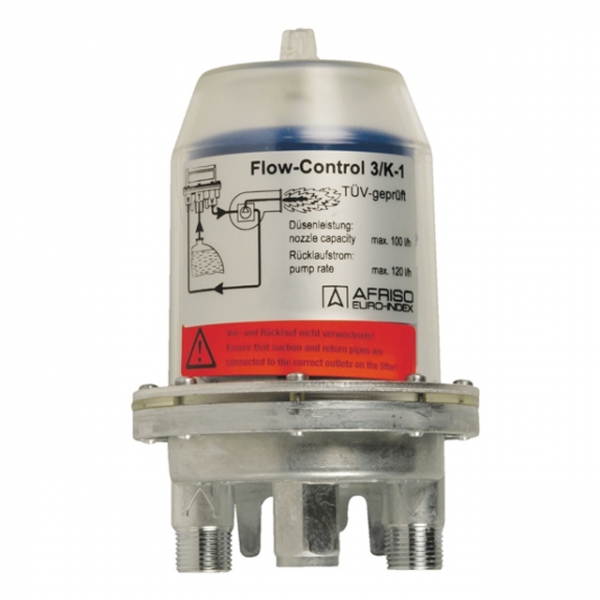 Afriso Fuel Oil De-areator Flow-Control 3/K-1 - Welcome to Oilybits U.K.
Automatic fuel oil de-aerator for use in single-line systems with return pipe connection. Metal housing. Plastic de-aerator hood, making it possible to detect malfunctions in the de-aeration system. Connections for suction and return hoses 3/8” male thread with inner 60-degree conical section. Connection to tank 1/4” female thread.